Back in familiar territory today, with yet another home WiFi security camera. It seems that all the big names have cameras available these days, meaning we all have a big long list to choose from when considering a smart-home security system. However, one name we've never taken a look at is EZVIZ (pronounced, we assume, easy-viz), yet their latest micro camera is pretty impressive. We review the EZVIZ Mini Plus Wifi Camera. So why has this caught our eye when larger and better-known companies have similar products at similar prices? 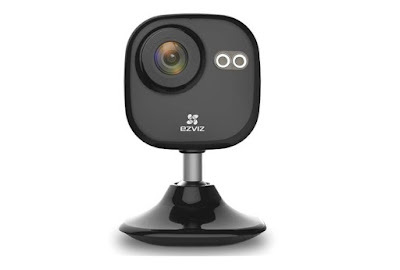 Well, the EZVIZ Mini Plus WiFi Camera is small – damn small, in fact, meaning it ca be installed in many more places than chunkier cameras. 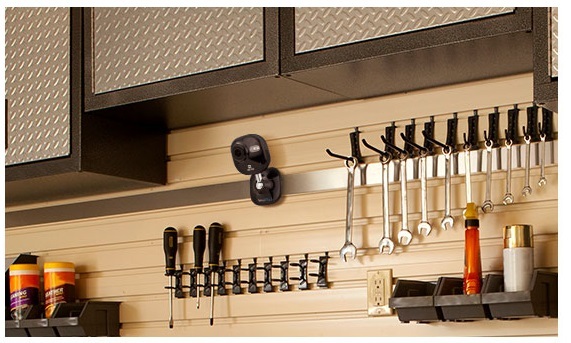 It also features a magnetic base, so mounting it in places other than a shelf or the top of a cabinet is possible. Despite the small size (it's only 5cm across) the camera captures video in Full HD 1080p, at 30 frames per second. The lens has a 135 degree range, so no matter where you place it, you'll be able to see most of that room or location. As you might imagine it connects to your WiFi router wirelessly, allowing you to see the live stream via the EZVIZ app. 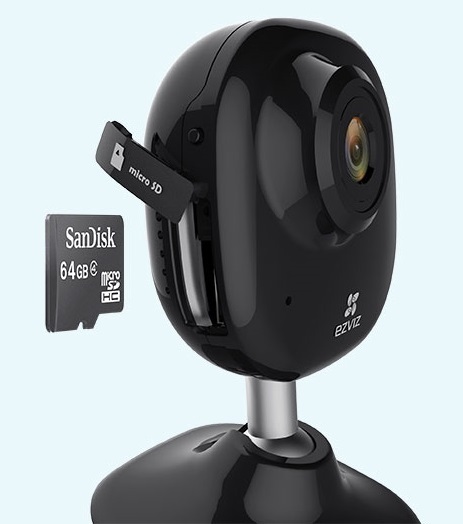 The camera is powered via an included USB adaptor (no battery power, unfortunately), and also features a port for a Micro SD Card of up to 128GB. All good stuff. The EZVIZ (iOS and Android) is delightfully clean and neat, and allows you to control the cleverer features of the Mini Plus. As well as viewing the live feed (which never had a longer than a two second delay for us, even when connecting via the internet and not the house WiFi) you can set motion activation whereby recording to the SD card (if you have one installed) will begin when movement is detected, and also how your smartphone receives notifications of incidents. The EZVIZ Mini Plus Wifi Camera features two-way audio via the app, so you can both hear what's cracking at your home, as well as being heard by those there. You can therefore shout “Oi, sod off, burglar!” if you see that you're being burgled. Or just “BOO!” to scare the crap out of your housemates and family. Can you guess which we did to test it? The camera is mounted on swivel head connected to a magnetic base, which is awesome. Because of it, you increase where you can place the cam, as long as you are in range of a power supply. If you live in a nuclear bunker with metal walls, you're laughing - but we found some unique places to experiment with, including the top of a sliding patio door (the metal rim that doesn't slide, that is) and also a metal light fitting. It doesn't mean the camera can go anywhere (especially due to that power cable requirement – for a truly wireless camera you might want to look here), but the magnetic base is a big help and does away with the need to screw anything into the wall. The image quality is great, especially when recorded directly to the SD card. However, even the live feed was clean and crisp, allowing you see a lovely clean and smooth stream whenever opening up the app. Also, as you only need your phone to set this thing up, installation was a breeze and we could view the feed after only a couple minutes after opening the box. A great quality camera with a very user-friendly app. Good stuff, all round.